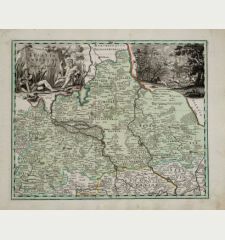 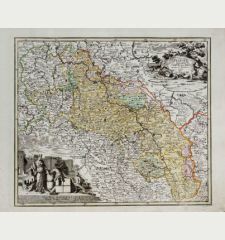 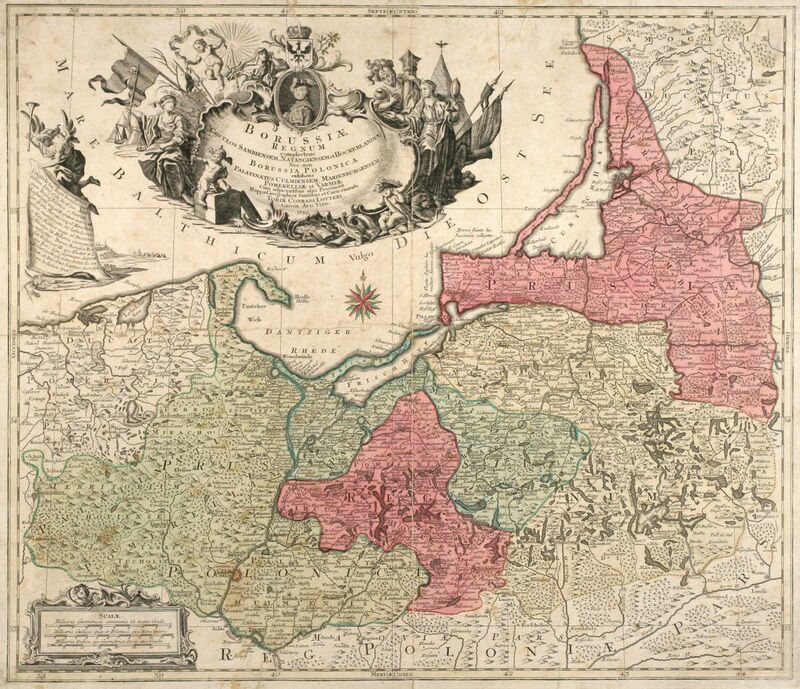 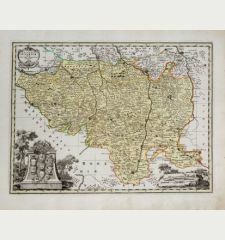 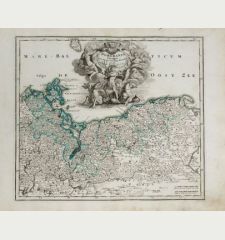 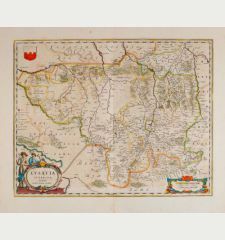 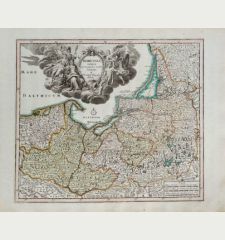 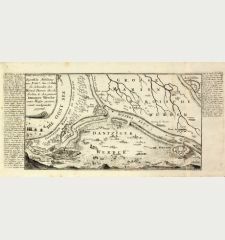 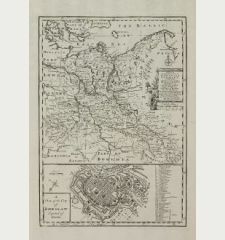 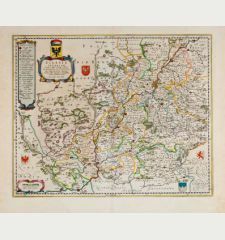 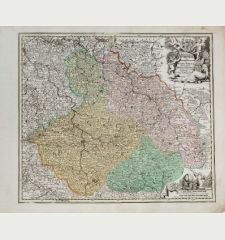 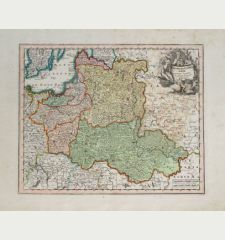 Decorative copper engraved map of Poland by T. C. Lotter. 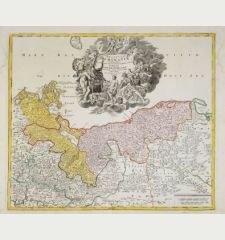 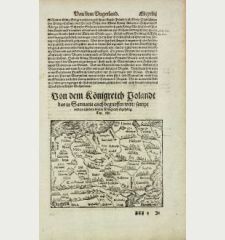 Covering the area around Dantzig (Gdansk), Elbing (Elblag) and Königsberg (Krolewiec). 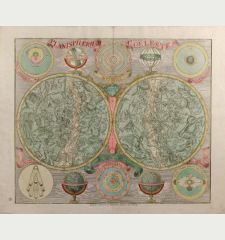 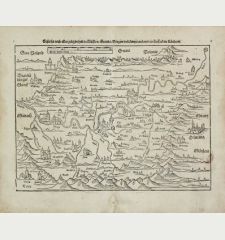 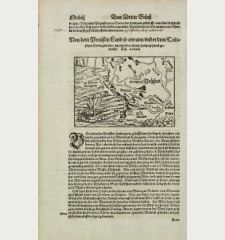 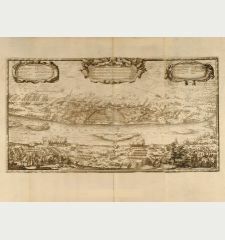 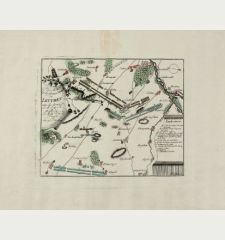 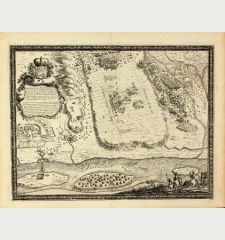 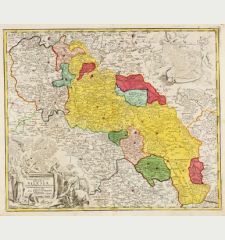 The map has a highly decorative figurative and allegoric cartouche. First state, dated 1759 in the cartouche. 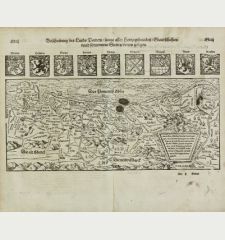 Centerfold split and margins backed, minor soiling, some tears backed.